Home » Blog » I Have an Inversion Table. 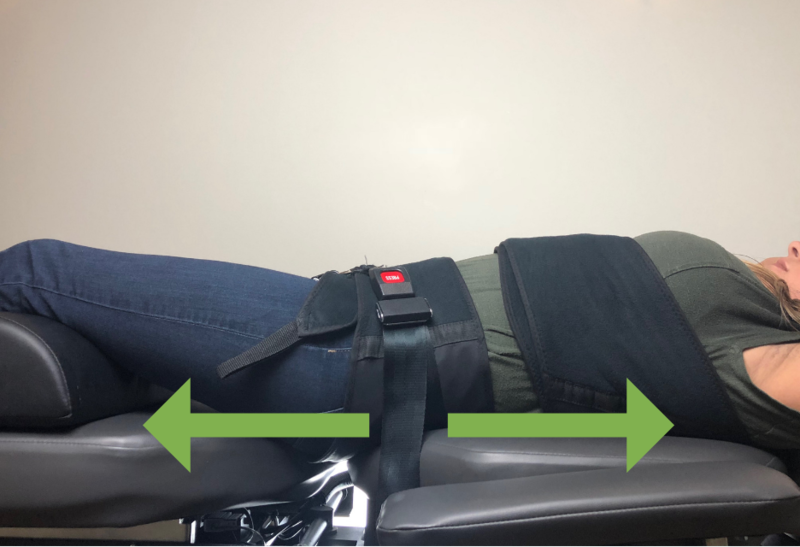 Do I Need Spinal Decompression Therapy? In a world of do-it-yourself videos, many people prefer to take a shortcut or an easy way out. There are no safe shortcuts when you are dealing with your health. And in the case of a spinal injury, if you don’t seek professional guidance, you risk making your injury worse. People may buy an inversion table, hoping to save themselves trips to the doctor and heal their injuries at home. Sounds good, right? Well, not exactly. Spinal decompression therapy is a unique traction technique. It is used by professionals to treat degenerative disc disease, protruding discs, prolapsed discs, facet syndrome, spinal stenosis, and other related spinal disorders. It is a very calculated therapy, using a computer enhanced table and specialized equipment. Inversion tables hang you upside down, letting gravity stretch your muscles and spine. Let’s dig a little deeper into the differences. Just like it sounds, an inversion table inverts you, or hangs you upside down by your ankles, for a certain length of time. Inversion therapy is frequently used by people who have lower back pain. Inversion therapy uses your own body weight to stretch your spine. This ideally reverses the negative effects of gravity. 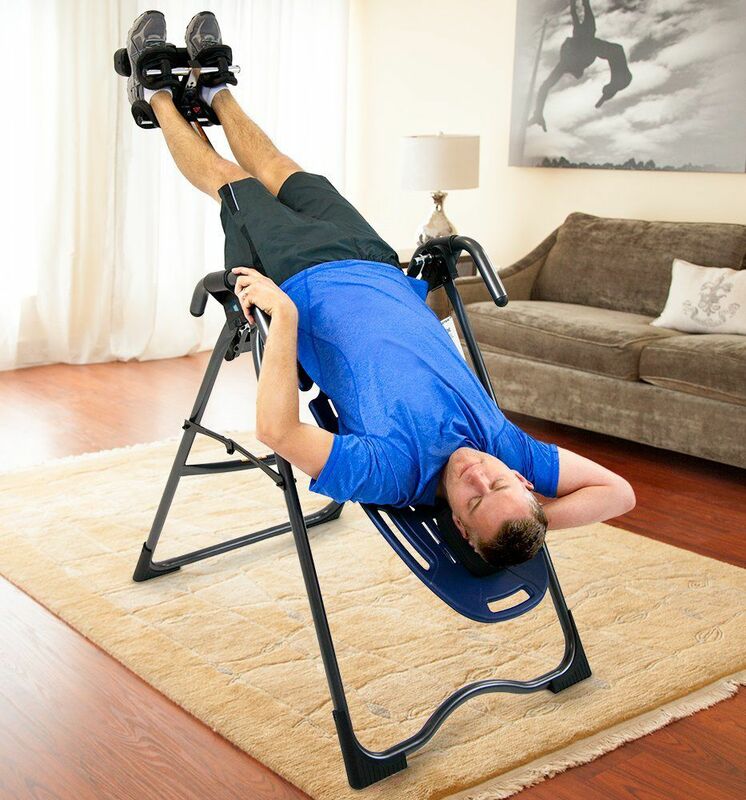 An inversion table pulls every joint in your body. It does not focus on the area that is actually causing you discomfort. Spinal decompression therapy can pinpoint an individual disc. A chiropractor can apply the necessary negative pressure to release an impinged disc and promote healing. An inversion table is not made for this individual kind of treatment. Inversion therapy can also increase blood pressure. That can be dangerous for people with hypertension. It can also cause injury and pain to arthritic joints. Ultimately, inversion therapy can harm the knees, spine or hips. Muscles in the body may spasm as a defense mechanism to forceful stretching while using the inversion table. Below are a few reasons an inversion table may not be the best treatment for your spinal pain. Inversion therapy is unable to target the specific injury or disc. Since inversion tables rely on gravity alone, you can’t regulate the amount of force exerted. That means an inversion table can’t create the necessary negative pressure to release a disc. Inversion tables are similar to traction. And traction is a far different treatment than decompression therapy. Inversion therapy can feel good while it’s happening. But any pain relief is very short lived. To achieve real results from inversion, a patient would need to remain inverted between 15 to 20 minutes a day. That amount of time spent upside down can be dangerous. Inversion tables don’t have any clear injury-specific guidelines. Without oversight by a professional, it is possible for you to overdo the amount of time on an inversion table. This could result in spasming muscles and even damage to the muscles and spine. While the hanging around by your ankles doesn’t seem to be inherently dangerous, some illnesses and conditions could worsen as a result of inversion therapy. Hanging upside down increases blood pressure, worsening hypertension. Inversion therapy can also increase inner ear and eye pressure. And it could be dangerous for patients who take blood thinners. If you are obese, pregnant, have a fracture or an aortic aneurysm, hernia, or osteoporosis, you should not use an inversion table. There is no scientific proof that inversion tables provide lasting benefits. Nonsurgical decompression is performed by highly trained professionals on a specialized decompression table. The patient is completely relaxed. Therapy includes using a series of calculations to program the table. This provides the appropriate force and timing needed for each session. Spinal decompression therapy provides negative pressure within the disc. This pulls the disc back into place and allows it to expand in its original position. At Crist Chiropractic, we combine spinal decompression therapy with coaching in life choices. We believe patients get the most benefit from caring for their whole body. We give specific instruction regarding hydration, nutrition, exercise routine and chiropractic adjustments. Spinal decompression therapy delivers long term results and for many, immediate relief. 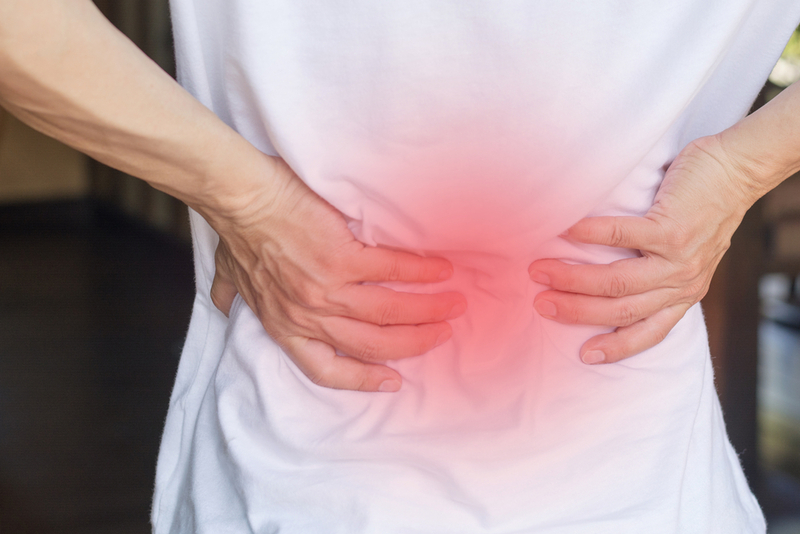 What is the Best Way to Safely Address Your Back Pain? If you have back or neck pain, always call a professional for an evaluation. Inversion therapy is an ineffective and potentially dangerous way to treat your back pain. Your chiropractor is a licensed healthcare professional. They are specially trained in techniques such as spinal decompression therapy. An evaluation is the safest way for your chiropractor to see a full picture of your health. A medical history can alert your chiropractor to conditions that would make decompression therapy a bad idea for your health. Your initial consultation will include diagnostic tools, such as MRI and X-rays, to identify the exact cause of your pain or disability. Decompression tables, unlike inversion tables, specifically target the source of your pain. They can provide the treatment needed to begin the healing process. It is safe to stay on decompression tables long enough to achieve effective treatment. The result is an immediate decrease in pain. Decompression therapy can also achieve longer lasting results as well. It usually takes 20 to 30 sessions in total to achieve the greatest result with decompression therapy. You can achieve the best results by following a full treatment plan, including lifestyle changes. Lifestyle changes may include ice therapy, exercise programs, and nutritional advice. Don’t take any chances with the health of your back. 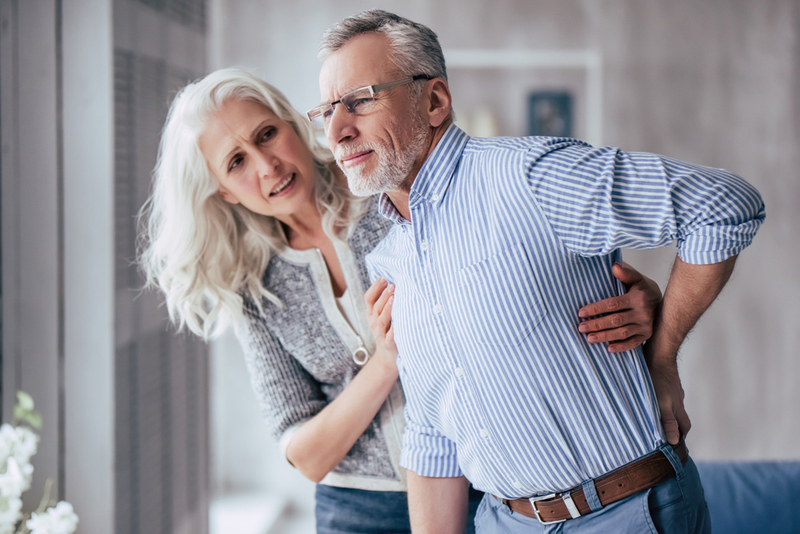 If you are experiencing any pain, stiffness, or disability with your spine, lower back or neck, call our office for an evaluation to see if spinal decompression therapy is right for you.